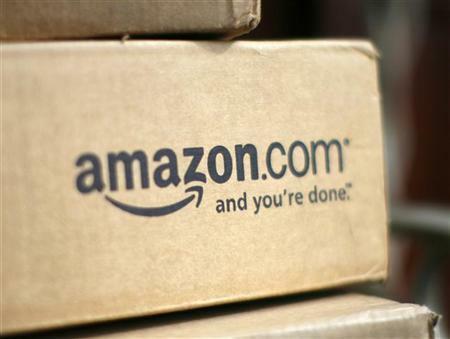 (Reuters) – Amazon.com Inc, the world’s largest Internet retailer, is in advanced talks to buy the mobile chip business of Texas Instruments, Israeli financial newspaper Calcalist reported on Monday. If negotiations lead to an agreement, Amazon, which makes tablets and is expected to enter the smartphone industry, would become a direct rival to Apple and Samsung Electronics, which also designs their own chips. The value of any deal will probably be billions of dollars, Calcalist said. Texas Instruments said last month it will shift its wireless investment focus from products like smartphones to a broader market, including industrial clients such as carmakers, where it is hoping for a more profitable and stable business. Officials at both firms were not immediately available for comment outside U.S. business hours. Gartner analyst Carolina Milanesi told Reuters she doubted whether Amazon wants to “become that intimately involved with hardware”. TI’s chips are used in Amazon.com’s Kindle Fire tablet. TI told investors it would continue to support its customers but its mobile application chip business, which supports features like video, will not invest in supporting its customers future roadmap for tablets and smartphones to the same degree as before. Calcalist quoted TI spokeswoman Whitney Jodry as saying that the company refrains from commenting on rumors. This entry was posted in Wireless, Work and tagged Amazon, hardware, Kindle Fire, mobile chip, Reuters, smartphone, Tablet, Texas Instruments, TI, USA. Bookmark the permalink.